You’re not the only one. It can get really hard trying to buy birthday and Christmas gifts for our children as they get older. From the age of ten upwards, they seem less and less interested in toys and good old-fashioned on the floor play. Figures become a distant memory, playsets a thing of the past, play-doh and paint… do they even know craft stuff exists anymore? It’s a hard time for tweens and parents, alike. Watching your children grow older is great but it’s also sad to see them let go of their childhood so willingly. Of course, it’s completely natural, normal, even, but for parents, it can definitely be an emotional period. I’ve decided that the solution is to get creative about gifts and select stuff that will really enhance their tweenage years. It’s oh-so-easy to fall into the trap of purchasing electronic devices, accessories, and games. They’re everywhere these days, and we can’t deny that it’s not the norm. Scratch that, and take a look at just four alternative gifts I’ve found for your not-so-youngsters. Enjoy some quality time together with your tween with an Up at The O2 for two adventure pass. Climb a suspended walkway up, up, and beyond, to view London City from a height of 52 metres above ground level. All safety equipment and climbing gear is included, all you have to do is turn up with your tween to embark on this urban mountaineering adventure. Segways topped the list of must-have Christmas toys in 2015. Since, they’ve gone from strength to strength, with so many cities across the UK offering Segway tours or off-road adventure safaris. This will definitely be considered a cool Crimbo present. Tear your tween away from the computer screen with the prospect of meeting a real loot llama for the day. That’s got to be better than an afternoon looking out for the Fortnite pinatas, right? From way up high Up at The O2 to deep down below at Zip World, Wales, there’s adventure to be found wherever you look online at Red Letter Days. Bounce Below promises to be a magical way for tweens, teens, and adults to rediscover their inner child. This subterranean play park is contained within the chambers and caverns of a slate mine in Blaenau Ffestiniog, Wales. If these four experiences aren’t for you, or your clan, take a look online. There are hundreds upon thousands of alternative gift ideas on the Red Letter Days website. You’re sure to find an unexpected gift that will even tempt your tween into cracking a smile. 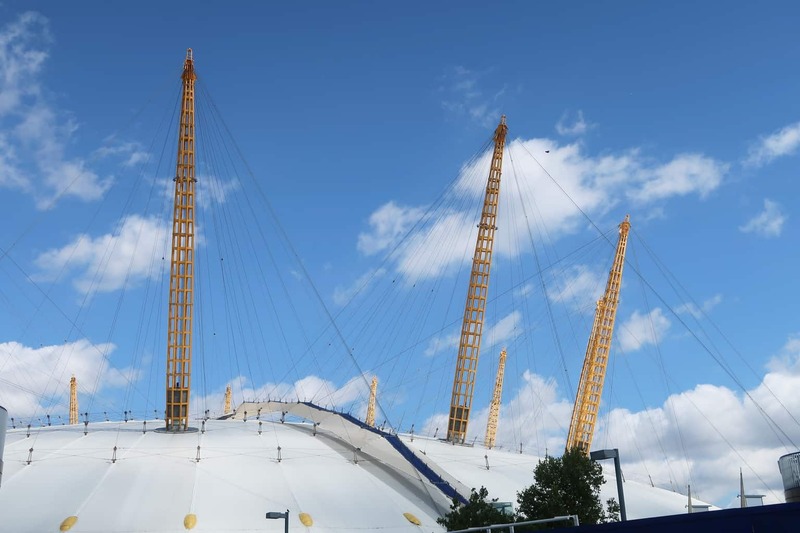 To ensure that the tween in your life has an experience to remember, Red Letter Days are offering one lucky entrant the chance to win an Up at the O2 for two experience. 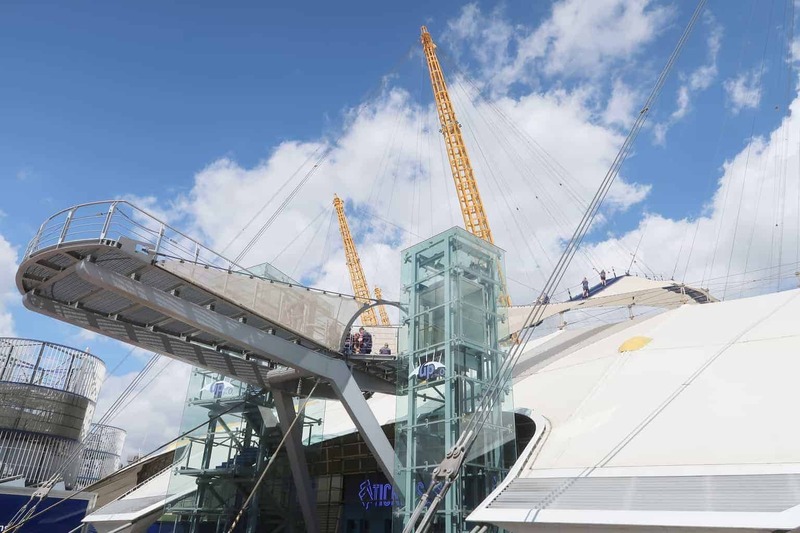 Prize: Up at the O2 for two experience – Guests aged nine and over are welcome. Min height is 3’9”; max weight is 21 stone. Max waist is 125cm; max upper thigh is 75cm. Not suitable for pregnant women. Climbers must not be under the influence of alcohol or any legal/illegal substances. What a great and unique idea for a gift! I have wanted to this for ages, but having a little trouble my height-hating-husband. Of course, it would be amazing to do it together. I could definitely convince him to join me if it was a prize win! This would be an amazing experience thanks for the opportunity. This would be such a fun thing to do! Would love this for my tweenie! My son is 13 next year and I’ve been looking at unusual gift ideas/things to do – I completely agree, experiences are better than any item you can buy for them. Memories last forever! Thanks for some great ideas! Imagine the view of London from upon the O2! I’d love to surprise my husband with this excursion. It would certainly make me feel brave. Sounds amazing … Just hope I would have the courage to go up there! I’d love this experience to help me get over my fear of heights. Always wanted to try this with my mum, shes been getting over her fear of heights for a year or so now. This is one shes not yet tried, i know she can do it! This sounds amazing. Would love to have a go! An amazing experience! Have had a few friends do it and have loved it! Whoa what an experience! That’s very unique. I would love to take my eldest to do this. This is a great prize, didn’t know it was possible to do this. Fabulous competition my son would love this! Wow! This would be absolutely amazing to win. This looks great – would love to win for my niece and nephew! Would love to experience this with my son! Great prize- would love to see the o2 from a different vantage point! Looks to be a fab family experience. Thanks for the chance. Great experience to be had. I work close-by so this would be ideal! Many thanks. Going up the o2 must be so exciting! This would be a great adventure to have.